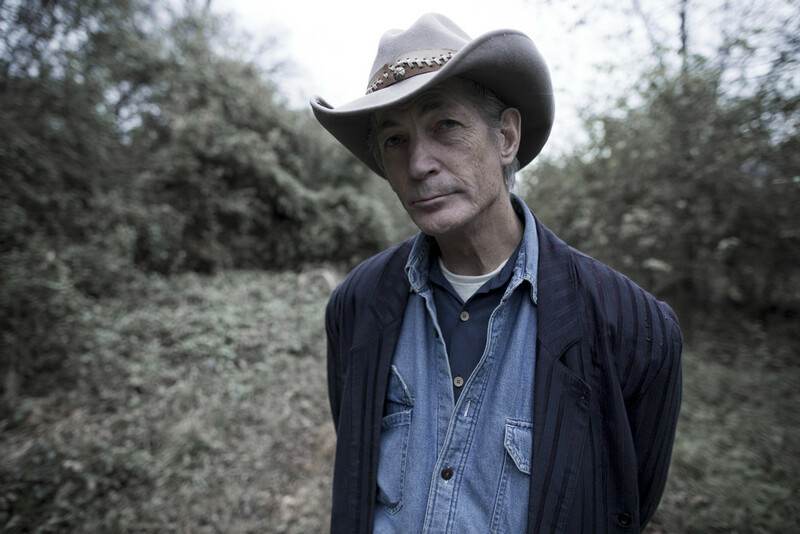 Doug Seegers' dreams of the big time had all but faded after four decades of hard luck, homelessness and substance abuse. Then the 63-year-old songwriter found stardom in an unlikely place: Sweden. This week in The Bitter Southerner. His dreams of the big time had all but faded after four decades of hard luck, homelessness and substance abuse. 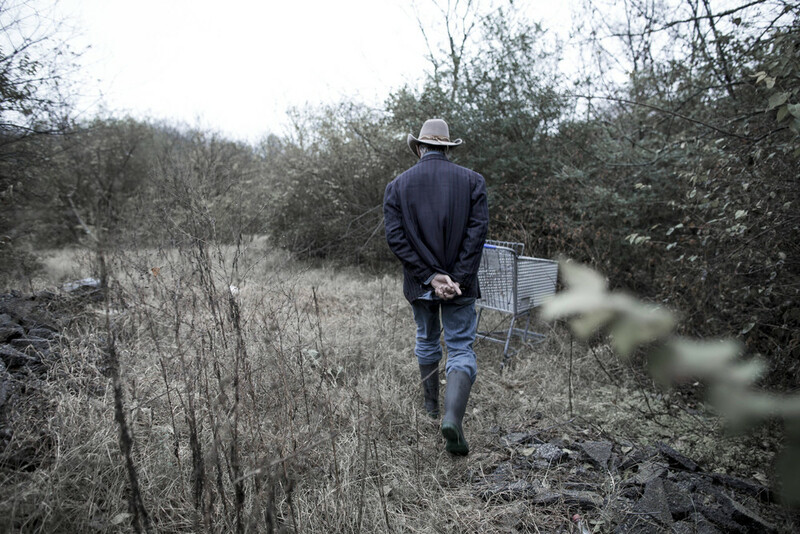 Then the 63-year-old songwriter found stardom in an unlikely place: Sweden. The rain won’t stop Doug Seegers this afternoon. 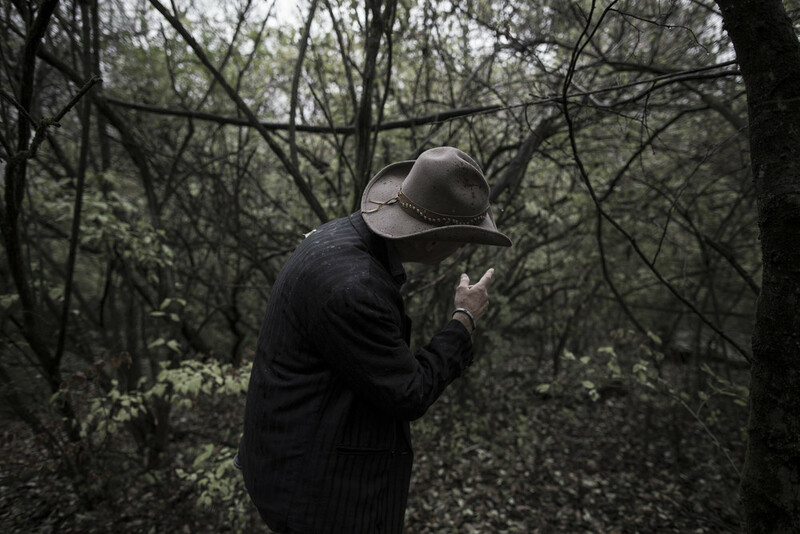 A soft drizzle hits the brim of the 63-year-old country singer’s wool cowboy hat. He splashes through a bustling parking lot toward his favorite busking spot: the sidewalk just outside Goodwill in West Nashville. The secondhand store is located in a strip mall near Charlotte and 54th avenues, five miles west of the fluorescent glow of Broadway’s iconic neon signs. Broadway’s bright lights have long allured aspiring musicians, including Seegers at first. But for nearly two decades Seegers has felt most comfortable performing under the awning of a shopping center that’s also home to a corporate auto repair shop, Chinese buffet, and cosmetology school. The temperature hovers around 55 degrees on this dreary late November Sunday. Seegers takes a seat between the sliding automatic doors and padlocked shopping carts. He pulls out his trusted six-string Taylor guitar from its soft black case. A few moments later, the greying singer belts out a remarkable rendition of "He's Got the Whole World in His Hands” to the store’s customers. Most ignore the guitarist. Ken Williams is a rare exception. “He sounds like Hank Williams,” says Williams, a portly 67-year-old local man dressed in Volunteer orange. The longtime West Nashville resident soaks up Seegers’ plaintive croons for a few songs before heading inside the thrift shop. “Hank Williams Sr.,” he adds. Six months before, Seegers had stood at the center of a multilevel technicolor stage, with more than a half-dozen musicians backing him, inside an amusement park roughly 4,500 miles away from this Goodwill, across the Atlantic Ocean, in Stockholm, Sweden. Under bright yellow and white stage lights, he sang a twangy and heartrending ballad called “Angie’s Song” from his debut album, “Going Down to the River,” as part of a performance that was airing live on Swedish television. He entranced thousands of fans in person and at home with his hit songs, fueling enough demand for promoters to book a 60-date nationwide tour. The love Seegers lost — or, more appropriately, never found — in his hometown was more than made up for in the Scandinavian nation. The past 12 months have blurred together for Seegers. He’s gone from living in a homeless shelter to topping Sweden’s sales charts. In Swedish cities, people recognize him on the streets. 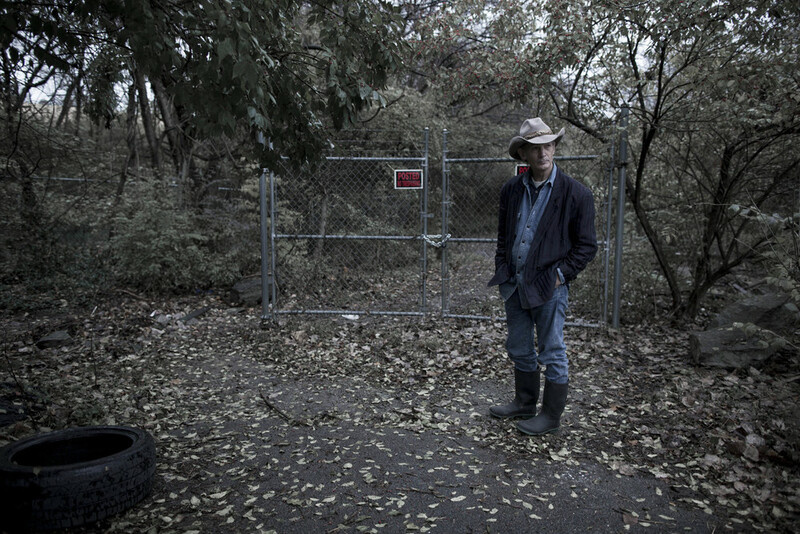 Back in Nashville, where he’s lived since the ’90s, he remains unnoticed. Doug Seegers performs outside Goodwill in West Nashville. It's his favorite busking destination. Seegers is a little lost. We’re headed northbound on Highway 155 to his house in Bordeaux, a quiet suburb north of the Cumberland River from downtown Nashville. He typically rides the Nashville Metropolitan Transit Authority’s No. 22 bus to get to and from Bordeaux. Because we’re in a car, he’s not entirely sure about our location until we approach Clarksville Pike. He eventually gets his bearings straight and directs us toward the dead end of a quiet residential street. The singer exits the car, walks down the gravel driveway, and swings open the front door of his one-story brick house. He then waves me inside. One of his housemates, a 20-something male who’s shirtless and staring into his phone, barely acknowledges Seegers’ entrance. The musician is at least three decades older than everyone else living in the house. He’s slept in a roughly 8-foot-by-10-foot wood-paneled room, located through the first door on the right, since early 2014. His mattress rests on the floor, guitars hang on the walls, and industrial power tools from his former carpentry career fill the rest of the space. After a brief tour of the house, Seegers plops onto his bed, which is covered in a red-and-beige checkered blanket with a repeating Christmas tree pattern, and takes off his rain boots and socks. His room is in disarray: Wrinkled clothes pour out of a mostly unpacked suitcase and assorted travel-sized toiletries sit atop his band saw. Two of his inspirations, a red-leather Bible and a Jim Lauderdale record, lay on his nightstand. He reaches for the six-string that he made himself at his home. He carved his initials, DG, and the date he completed the woodworking, March 24, 2014, into its peghead. He soon begins playing his swampy, chart-topping Swedish single, “Going Down to the River,” tapping his right foot on the downbeats. He croons and strums with the same energy for every audience, be it two or 2,000 fans. It’s a habit that likely stems from his love of busking. Doug Seegers plays his homemade guitar inside his tiny room in Bordeaux. Seegers’ country roots date back to the early ’50s, oddly enough in a Long Island, N.Y., household. His mother loved the Osborne Brothers, Roy Acuff and Ralph Stanley. His dad’s record collection featured Hank Williams, Little Jimmy Dickens and Carl Perkins. They performed together in a country band; his grandma made them outfits with Aran stitching and lace to wear during live shows. Seegers stuffed newspaper into the tips of his mother’s fancy cowboy boots and wore them around the house. During the holidays, the entire family huddled around the dinner table and recreated Osborne Brothers songs. His uncle played banjo, his mother sang lead vocals, and Seegers backed her up on harmonies with his three brothers. At age 8, his mother began teaching him chords on the family’s Cromwell guitar. He never looked back. “I was born with music in my blood,” Seegers says. Seegers also experienced poverty at an early age. His mother raised four boys alone once his father left his family. She waited tables to help pay the bills. They relied upon welfare. Seegers remembers consuming government-issued powdered milk and stale bread, wearing his older brother’s hand-me-downs and shining drunk men’s shoes in bars to make some extra cash. When Seegers wasn’t playing music, he learned about woodworking. He started making birdhouses in his grandpa’s basement and studied the craft in high school. A local cabinet shop hired him after graduation. In the late ’60s, he began busking on St. Mark’s Place on the Lower East Side of Manhattan, covering the Beatles and Rolling Stones. He wrote his first song, “Riker’s Island Blues,” at age 18. According to Seegers, his hazy teenage years in the Northeast turned into “one continuous party” marked by drinking alcohol, tripping on LSD, shooting heroin and hitchhiking to music festivals. He briefly became homeless, but embraced the freedom that came with the perils of living in abandoned buildings. He eventually found a job at a shop that reproduced early American pine furniture. He helped chisel tables and hutches. One night in the early ’70s, Seegers attended a show at a club on Long Island. Buddy Miller, who is now one of Nashville’s most sought-after producers and guitarists, was playing that evening. He befriended Seegers and invited him to sing at subsequent gigs. Miller later asked Seegers to move to Austin and help form a new band. Seegers wanted to move to Nashville. Miller convinced him otherwise. Seegers hitchhiked from New York to Texas and became the frontman of Miller’s group. He adopted the stage name Duke the Drifter as a nod to Hank Williams’ alter ego “Luke the Drifter,” which the Alabama songwriter used to release recordings of sermons. He also immersed himself in the music of country-rock acts such as Buffalo Springfield, Commander Cody and the Lost Planet Airmen, and Poco during that period. But Seegers grew weary of the tour life and tired of the sweltering Texas heat. The days were long. He hated being crammed into a tiny van, sometimes having to sit atop an amp cabinet, for a 300-mile drive each day. The $100 nightly paychecks split among band members didn’t cut it. "This isn't working," Seegers thought to himself. About one year after moving to Austin, Seegers packed up his bags and returned to New York. He married, raised a family and returned to woodworking for the next two decades. Songwriting took a backseat to domestic life. His Nashville dreams went on hiatus. Seegers marches past the padlocked fence, which blocks only vehicles from the long unpaved road, and sloshes into the woods. The drizzle turns into a downpour. And the fearless songwriter continues past an abandoned shopping cart, discarded baby shoes and empty booze bottles. After veering slightly off one path, he wanders through thicker brush for another 10 minutes. Then he stumbles upon the clearing. The site is one of the numerous homeless camps where Seegers once rested his head. Blankets hang on tree branches above plastic containers strewn on the ground. No one is here today. He can’t tell if residents sought shelter from the storm or if police chased them off the property. Seegers also stayed elsewhere during his time on the streets: a supply shed behind an abandoned one-story house near Charlotte Avenue and under two bridges where I-40 passes over 46th and 51th streets. The details of that period remain hazy due to his alcohol and drug use, Seegers says. Nashville police officers have a slightly better memory: Their records show more than two dozen arrests for criminal trespassing, public intoxication, aggressive panhandling and other misdemeanors between August 2008 and July 2013. One of those charges was for domestic assault, during which police claim Seegers allegedly grabbed and threw to the ground Angie Spencer, his ex-girlfriend, about whom he later wrote on his record’s opening track. Seegers denies hurting Spencer; he says she injured herself falling in the middle of a seizure, after which he took care of her. He says he pleaded guilty, agreeing to be placed on probation and take court-mandated classes, because it allowed him to leave jail as soon as possible. Throughout that period, Seegers slowly realized the drinking, drugs, and threats of prolonged jailed time had to stop. He just didn’t know when that day would come. 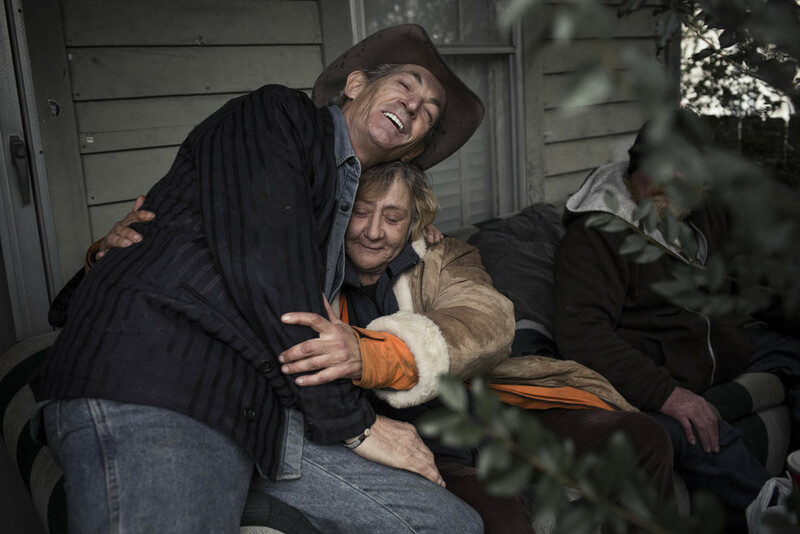 On a rainy November afternoon, Doug Seegers revisited some of the places he stayed when he was homeless — and ran into a few of his old friends. Seegers didn’t envision this lifestyle when he moved to Nashville. During the ’80s and early ’90s, he had never lost the desire to follow his country music dreams. But he feared repeating his father’s mistakes. So he stayed with his family in New York until his youngest son turned 15. At that point, he shared his lifelong goal with his son. Seegers received his son’s blessing. And he headed to Music City in the mid-’90s with a rough plan: find a place, partake in songwriters’ nights and “impress the hell out of people” with his music. However, his first open mic didn’t go as expected. Gifted musicians overwhelmed the singer with their performances, he recalls. He quickly doubted his own songwriting. A couple of years passed. Two years turned into a decade. His insecurities never faded. So Seegers avoided the songwriters’ circuit altogether. He settled down in West Nashville, working early-morning shifts at a local cabinet manufacturer. He had little energy for his music once he got off the clock. The carpentry business remained steady for years. Then it wasn’t. The cabinet shop laid off Seegers three separate times. He then increased his busking outside different downtown establishments like the Old Spaghetti Factory on Second Avenue and the FedEx Store on Broadway. Though he struggled on some nights, he averaged around $100 for performing on weekends. The holidays meant he could earn as much as $300 for a four-hour set. Some police officers warmed up to him, he says. Others saw him as just another panhandler. Seegers eventually couldn’t pay for food and rent anymore. He became a familiar face among homeless service providers offering shelter (Nashville Rescue Mission), groceries (The Little Pantry That Could) and meals (Downtown Presbyterian Church). He regularly lugged his guitar over to the church’s basement on Fifth Avenue for free hot lunch on Wednesdays — which typically included a meat, vegetables, a roll and iced tea — and breakfast on Sundays. Longtime Nashville resident Tommy Turner, a ministry volunteer and local songwriter, regularly chatted with him about music. They occasionally crossed paths on Broadway while Seegers busked. Around four years ago, Turner convinced Seegers to play his songs inside a venue for the first time in decades. Turner dragged the then-homeless musician to open mic nights at the Row and Commodore Lounge near Music Row, whenever the Nashville Rescue Mission’s curfew didn’t restrict him. Debi Champion, who regularly hosts the Commodore’s open-mic nights, says the rusty performer stood out from the two dozen other artists performing that night. She didn’t know he was homeless. She just thought he showed up to hone his craft and gain exposure. Seegers hit rock bottom in 2013. He had broken up with Angie, reached a new low with his substance abuse and lost self-confidence. His life wasn’t headed in the right direction. From that point forward, Seegers says he got his life back on track. He quit alcohol and drugs cold turkey. His access to housing, though not entirely stable, eventually improved in early 2014 following the death of his stepfather, who bequeathed him $5,000. The money enabled him to rent his current place in Bordeaux. He continued improving as a performer, too. Stacy Downey, founder of The Little Pantry That Could, convinced him to take part in the West Nashville food pantry’s songwriter showcase highlighting homeless musicians. Downey’s showcases usually went unnoticed outside the pantry’s walls. But one day in 2013, Downey says she received an email from a Swedish television producer who was working on a documentary about country musicians with hard-luck stories. The producer, looking for local leads, had found her website. The query was real. Jill Johnson, a veteran country music star in Sweden, convinced the national public broadcast station, Sveriges Television, to approve a six-show series called “Jills Veranda.” Johnson wanted the program to introduce her nation to traditional American country music in a manner that captured the struggles of everyday people. Johnson last fall flew to Nashville with several musical guests and a production team to film the show’s six episodes. For the season finale, Johnson and Magnus Carlson, a member of the Sweden indie-rock band Weeping Willows, visited Downey’s pantry in search of potential subjects. Before that day, Downey had asked Seegers about talking to a talent scout ahead of the filming date. "Hell no, not doing it," Seegers told Downey. Seegers, still reeling from his breakup, didn’t want any part of the documentary the day Johnson arrived at the food pantry. Downey asked him again if he wanted to perform. Seegers changed his mind. The songwriter pulled out his guitar and propped up his “out of work: anything helps” cardboard sign. He sat down in the pantry’s back alley, right next to Downey and a row of garbage cans, and performed an original song called “Going Down to the River.” He floored the Swedish TV crew. Johnson wept. Disbelief briefly lingered among Johnson, Carlson and the crew members. Johnson says she didn’t believe he wrote the song — she thought it was a deep cut from a country legend, but definitely not Seegers’ own tune. Once the moment sunk in, she knew they needed to make the final episode about him. Her team scrambled to book studio time to record “Going Down to the River.” A few hours later, they booked a short session in the Cash Cabin, the Hendersonville, Tenn., recording studio where Johnny and June Carter Cash made their later albums, to capture the song. The Swedes returned home. Nothing happened for a while with Seegers. They put the finishing touches on “Jills Veranda,” which debuted in late January 2014. Swedish viewers responded positively to the entire series. According to Johnson, Seegers’ “Cinderella man” tale captivated the most viewers, especially in a nation far less accustomed to watching redemption stories than the United States. People called STV asking where they could donate money to Seegers. They wanted more songs from the Nashville songwriter. Over the decades, Doug Seegers has developed thick guitar-string calluses on his fingertips. Things started to move fast. After Seegers’ STV appearance on March 5, “Going Down to the River” skyrocketed to No. 1 on the Swedish iTunes charts. It held the position for 12 consecutive days and remained in the top five for 10 weeks. Young Swedish songwriters began posting covers of the hit single on YouTube. A small bidding war for the rights to release Seegers’ debut LP occurred. Lionheart Music Group, a Stockholm-based label and management company, emerged victorious. Johnson, who releases music with the label, wasn’t prepared for the Nashville songwriter to receive that much attention. She hoped the unexpected fame would help improve Seegers’ life. Label reps helped him purchase an iPhone and hired music professionals to assist with his business affairs. They turned to Kimbrough to cut a record on a tight deadline — one of the fastest the producer says he has ever done — to ensure that Seegers’ momentum would not be lost. They burrowed into Sound Emporium, the studio that influential songwriter and producer Jack Clement originally founded in the late ’60s, to lay down tracks for 14 songs in just three days. Kimbrough quickly assembled an impressive cast of local session musicians including guitarist Phil Madeira, bassist Chris Donohue and drummer Bryan Owings. They filled out the record with steel guitarist Al Perkins (Emmylou Harris, Flying Burrito Brothers) and fiddler Barbara Lamb (Emmylou Harris, Buddy Miller). Seegers, who according to Kimbrough seemed slightly nervous on the session’s first day, grew confident with each passing take. He didn’t need to record most songs more than once in the studio — whereas many singers first record a “scratch track” over the instruments and opt to re-record vocals later. “Everybody [re-records vocals], except Doug, so it was astonishing and astounding,” says Lamb, who befriended the singer and is now his manager. Despite what others said, he insisted on covering a Gram Parsons tune — “She” — and a Hank Williams song — “There'll Be No Teardrops Tonight” — for the record in addition to his originals. Kimbrough managed to reunite Seegers with his old bandmate Buddy Miller. They collaborated on the Williams cover. Seegers wrapped up his vocal and guitar parts in early April. Kimbrough proceeded to place the finishing touches on the LP. Before Kimbrough finished the record, he and Miller each dialed up Harris, one of Seegers’ all-time favorite songwriters, and asked if she would contribute to the album. “I showed her a clip from the Swedish show, told her the story and showed her a picture of me and Duke in the '70s,” Miller told the Tennessean. “She heard his voice and flipped." Harris couldn’t record until just before the production deadline. But she managed to include her vocals at the last minute, though not around the same microphone as Seegers, on “She.” Harris, who later said Seegers’ music gave her chills, praised him for his ability to match Parson on a difficult cover. Kimbrough sent the finished album overseas in early May. “Going Down to the River” later that month hit shelves and topped Sverigetopplistan, Sweden’s equivalent of the Billboard 200, the following week. Record industry officials certified the album gold — a smaller threshold (20,000 units sold) than the Recording Industry Association of America in the United States (500,000 units sold), but a major accomplishment nonetheless. Seegers’ booking agent lined up a 60-date Swedish tour in support of the release. Seegers started off slow with several gigs at intimate 200-person venues before stepping in front of thousands of people at large outdoor festivals. Fans quickly recognized him, asking for his autograph and giving him gifts. The American musician, clad in his western regalia and cowboy hat, stood out as a busker in a nation with a only handful of street performers and even fewer who sang country songs. It was unlike anything most Swedes had ever seen in person. “He could have played as much as he had [guitar] strings,” Johnson says. The Downtown strip is typically filled with local musicians performing in honky-tonks, weary bartenders pouring drinks and adventurous tourists soaking in the neon lights. The rain, which has drenched Nashville for the past few hours, has sent most folks in search of refuge. Seegers, however, heads to another one of his favorite busking locales, the corner of 3rd Avenue and Broadway, just outside the FedEx Store. No one is outside the delivery shop. It’s closed on Sundays. “Doug Seegers’ Sunday gospel hour,” he quips. He pops open his guitar case and leans back against the delivery store’s front door. A “No Soliciting” sign hangs over his head. He ignores it and begins strumming the opening chords of “Pour Me,” one of his record’s slow and lush ballads. Most passersby ignore him. Three blonde girls smirk in passing as their umbrellas flap in the wind. One man wearing a mesh hat and a gold hoodie throws a couple of bucks into the street performer’s case before crossing the street. No one knows about his Scandinavian stardom. 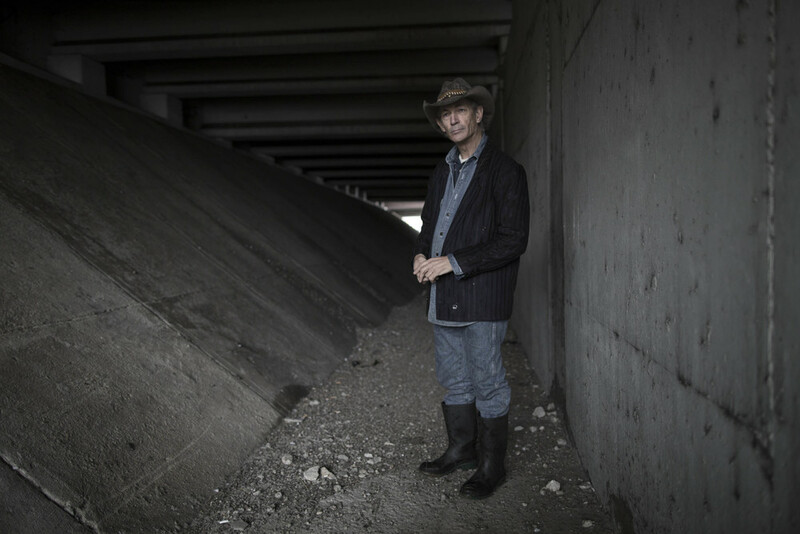 Despite finding fame in Sweden, Doug Seegers prefers to busk on the streets in Nashville. Seegers isn’t sold on his initial commercial success. Not by a longshot. But he also can’t deny the strides he made in carving out the career he had sought for decades. He doesn’t depend on panhandling for money anymore: he earned a cool six-figure sum, before expenses, in 2014. That’s more than he’s seen in years. Perhaps ever. The overseas success hasn’t translated back at home. In early October, he released “Going Down to the River” domestically on Rounder Records. The record has sold nearly 6,000 copies in the United States and Canada. He admits that American audiences have presented more of a “rocky road” than Sweden. Lamb thinks the domestic response has moved in the right direction. She points to positive coverage from Rolling Stone, National Public Radio and other national outlets. Gershon isn’t phased by the early numbers, considering how much time Seegers spent touring in Sweden compared to the states. Seegers’ biggest challenge remains in Nashville, a city that bills itself as the home of country music, but where writers of traditional country songs now struggle to reach a wider audience. Like many talented local songwriters, the 63-year-old artist faces a tough predicament: How do you land a traditional country song on mainstream country radio? In a perfect world, Seegers would contend for airtime. You’d be hard-pressed right now to find someone who writes with more authenticity than Seegers. And you must be doing something right if your songs are receiving regular comparisons to the Singing Kid. You can’t dismiss the semantics at this point. They’re forcing Seegers to look elsewhere — folk and festival circuits — for more work. None of that, of course, really matters to the Music Row execs who control the airwaves these days. Beer-guzzling anthems take priority over redemption songs from a man who’s kicked the bottle. In fact, mainstream country has embraced drinking songs so much, arguably more than ever, that it prompted one Billboard writer earlier this year to ask the question: “Does country music need an alcohol intervention?” Maybe mainstream country can someday get back on track. For now, though, it needs a cab ride home. Seegers ultimately hopes he can move past his personal and professional struggles to make further inroads with American country fans. He recently finished a short tour opening for Texas country singer Clint Black, who, granted, is playing in much smaller towns than he did during his platinum-selling days 25 years ago, and has received year-end accolades from NPR Music and the Philadelphia Inquirer. This Friday night, Dec. 19, he’ll make his Grand Ole Opry debut at the Ryman Auditorium. It’s a short performance, two songs at most, between more established artists. But it’s a major chance for a couple thousand country fans finally to hear his songs in person. Depending on the turnout, the single crowd could very well be larger than the total number of people who ever watched him play outside Goodwill. It’s not hard to see why Seegers’ “Cinderella story” resonates with a growing numbers of supporters. How can you root against a 63-year-old man who has finally started to fulfill his lifelong country dreams? I couldn’t. But after spending a weekend with Seegers, one thing became apparent: He hasn’t found complete freedom through his recent success, at least not by conventional Nashville standards. He acknowledges his newfound financial security. He’s also grateful to have a stable music career. But if it all came to an end, he would gladly return to busking. “My biggest joy right now is going out playing on the streets,” he says. That statement initially surprised me. Most country artists will do anything to perform onstage instead of on the streets. But then again, Seegers is unlike other artists. The arduous path he’s traveled has given him an unique outlook on his music, his hometown, and his life. From where he stands, Nashville’s skyline looks different than it does to the rest of us.